This was a challenging morning set that we did SCY recently. 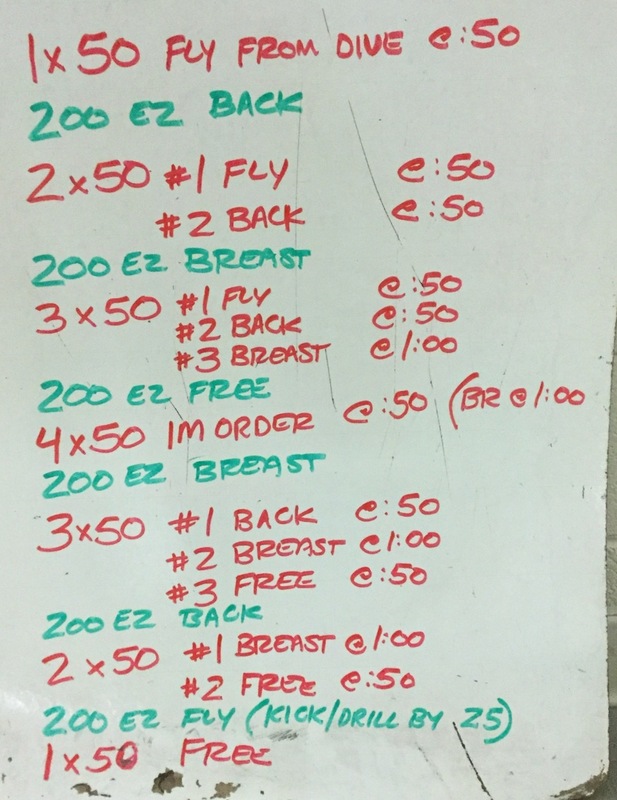 The first 50 of each set was from a dive, with all others from a push. All fast and timed.